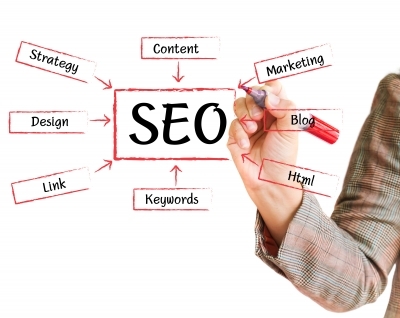 Home > Blog > Advanced SEO > Are You Still Clinging On to These Old Ways? Are You Still Clinging On to These Old Ways? Certain Search Engine Optimisation ideas can become so firmly entrenched in our psyches that we keep holding on to them well after their shelf life has expired. Here are three SEO practises that were once core components of the playbook but could now scuttle your entire SEO endeavours. If your SEO career goes back more than a few years, you surely remember when backlinks were cheap, easily acquired and worked miracles on your rankings. Fast forward to today and things are very different. Nowadays, you must be almost obsessively careful about who links to you. Today’s linkbuilding mantra is ‘quality over quantity’. That means carefully building (earning) links and dealing with them individually, not in batches. Be sure to gain links from sites that are relevant and complement your own. Work on building relationships. Above all, never buy links. We’re not talking about the bad old days of keyword stuffing. Rather we’re referring to producing unnatural content that’s intended for spiders and algorithms first and humans second. One thing to bear in mind is that not all keywords are equal offenders; it’s often the longtails that are the major culprits. If you’re creating a page about Sydney ladies shoe vendors you’ll obviously need to pepper your copy with words like ‘Sydney’, ‘shoes’ and so on, and that’s natural. But keep on repeating “Sydney ladies shoe vendors” and you should get ready for a slap. This was once a popular and contentious topic. Nowadays, the best thing to do is not to worry about it. Write naturally and authoritatively and the density will take care of itself. As always with Google, it’s a matter of user experience. Provide your visitor with quality and your site will rank. Matt Cutts has made it clear that there’s a point beyond which keyword optimisation is no longer effective and in fact starts to have a serious negative impact on your rankings. Much has been written on this topic since Matt Cutts dropped his bombshell earlier this year. Suddenly the darling of the Search Engine Optimisation world was relegated to pariah status. However all is not lost. Using guest posting to try to gain backlinks wasn’t a very smart tactic, anyway. But using it to spread the message about your company or service remains a solid and effective part of any strategy. The world of Search Engine Optimisation is in a constant state of flux as Google strives to optimise the experience for searchers (and satisfy its advertisers) while experts work to find ways to get their clients’ sites ranking. Keeping your finger on the pulse of what’s happening is the only way to ensure the actions you take are the ones that will produce lasting value.